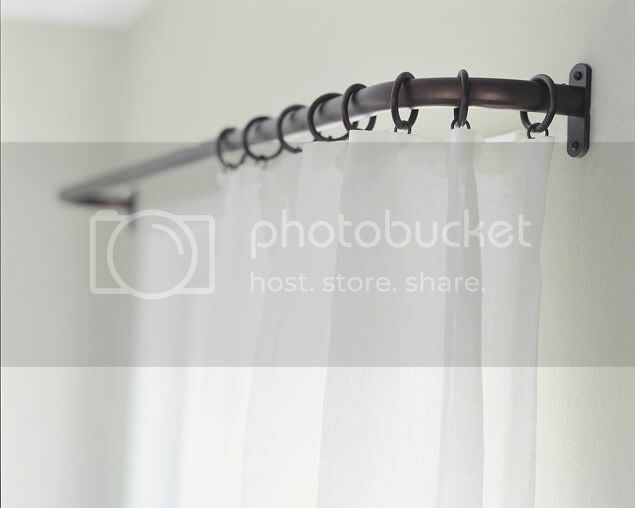 Yes, I am dedicating an entire post to my favorite kind of drapery hardware, the French pole. I think this is appropriate considering my upcoming trip to Paris (in just 6 days!). At my first design job, we always used extremely decorative drapery poles with big leaf or scrolly finials. Of course all of that has a time and a place, but my personal preference is clean, simple, beautiful drapery hardware. And if there is one type of drapery hardware that encompasses all of those, it would be the French pole. I love that there are no loose ends, and that the pole returns back to the wall creating one cohesive unit. When I started my own design company and began exploring new types of drapery hardware, I would see this style in magazine pages everywhere, but when I would to go showrooms and look online, I couldn't seem to find it anywhere. It took me quite some time to track down the French pole, but once I found out that that was its name, it made my search much easier. Above from the Bradley Collection, below from Hesler Brothers. 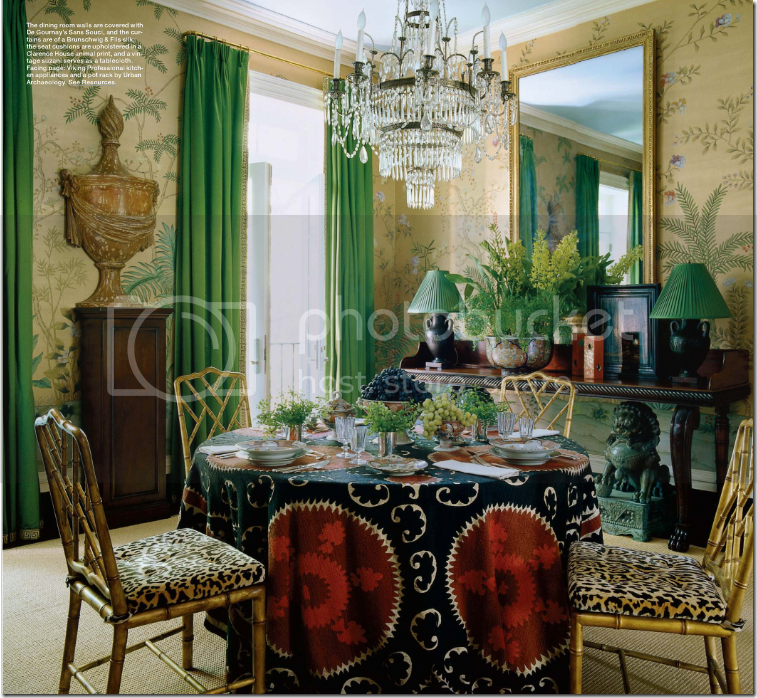 Below is a beautiful interior using a gold French pole from one of my favorites, Miles Redd (via Cote de Texas). *French toast at Side Street on Newport Blvd. in Costa Mesa. Hands down, best French toast you will ever eat. *French fries. Anywhere, anytime, smothered in ketchup.